Matej Rapnik is a Slovenian central left defender that is proving the advantages of using Fieldoo to make progress in his football career and a Fieldoo power user. Youth and first team player of Scotland’s 1st division FC Hearts returned to Slovenia where he played for the 1st division club that was relegated to the 2nd division. After that he moved to NK Celje, another Slovenian 1st division club. His breakthrough finally came with the use of Fieldoo, where his talent was noticed by a football agent Sasa Cuk. Matej accepted his offer to try himself in the Thai Premier League champion Muangthong United, the winner of the league in five of the last seven seasons. I started playing football as a kid with my friends. Soon my parents noticed my joy of playing football and one day took me to practice at the local football club. At the beginning football was pure joy for me, but it had become a way of life before I even knew it. Today I would describe myself as a professional, hardworking player with a touch of playfulness. Are you a footballer and would like to connect with Matej Rapnik? I would say that the football achievement I am most proud of is winning the Slovenian Cup with NK Interblock. Although the appearance at the European U-19 Championship brings back nice memories as well. I remember I used to count the hits when I was a kid. What is interesting is that I don’t really remember my highest number, but I clearly remember a moment when I juggled the ball three times for the first time … That was some moment. At the moment it seemed like a good idea, I had nothing to lose and I thought that I could have great benefits from joining Fieldoo. As it turned out it was a good decision which has opened new opportunities in my career. Thanks to connecting via Fieldoo you have signed a contract with Muang Thong United, the champions of Premier League of Thailand. How did all this happen? It all happened very quickly and unexpectedly. I got a call from an agent, saying he had found me on Fieldoo and had an offer for me. I had never before thought about Thailand as a potential destination in my career but when the offer was on the table I had to. The decision was actually not easy at all; I collected as much information as I could and I realized that accepting the offer in the given circumstances was probably the best thing to do. How did you adapt to life and football in Thailand? Football and life in Thailand are very different from European lifestyle. I would point to the cultural and climatic differences which are reflected in football. To adapt well you need to be reasonable, patient and hard-working. It has not been easy but I believe I’m doing a good job. Who would you recommend Fieldoo to? 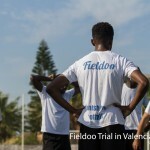 I would recommend Fieldoo to everyone related to the football business. It can help you open new doors in your career or it can give you valuable information. Nowadays it is important to be connected and to be seen, if you would like to reach your goal. 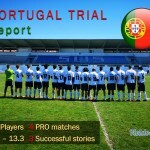 Are you a football agent and would like to connect with Matej Rapnik?